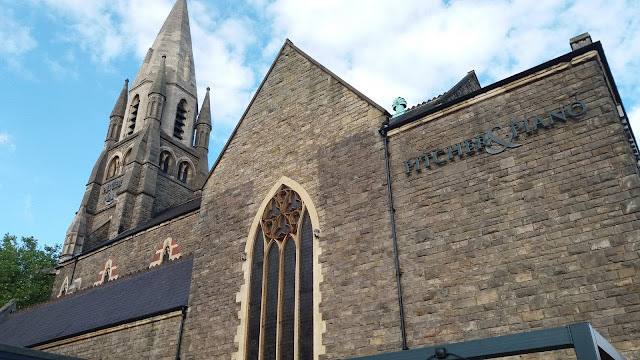 The Pitcher and Piano is a real Nottingham institution for drinkers. It has always been arguably the bar to send anyone we've known visit Nottingham from outside the city. The old Unitarian Church has been transformed into a fantastic bar and restaurant. We'd always visited for drinks but never food previously. 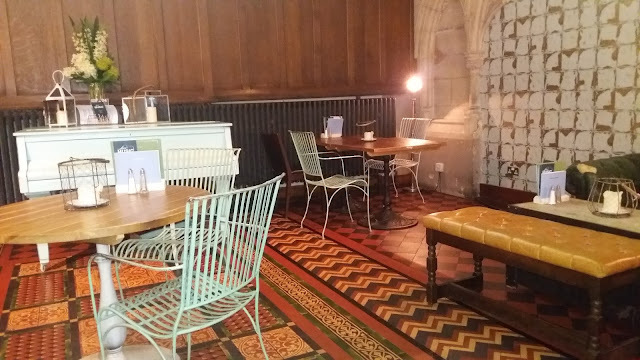 As part of this coming weeks Taste Nottingham event we were invited along to sample a moving feast around the city and were to assemble in the Pitcher and Piano, set beside the Nottingham Contemporary Gallery just off Weekday Cross. It's always intriguing to attend such an event as you're never quite sure what's going to happen, where you'll end up and what's going to be on offer however they're one of the perks of being a food blogger we'd never really considered when we set up the Nottingham Food Lovers Blog a number of years ago. On this occasion we sampled some very nice food and met some great people. As part of Taste Nottingham running between Monday 27th and Thursday 30th June there are a number of "Moving Feasts" running throughout the city. The Pitcher and Piano makes a great place to start on these or on any night out, whether it be with friends or a date. It's ditched the dark feel it had for a much more upbeat decor and ambiance. With a large selection of drinks available it's also a great place for someone of a choosier nature. We opted for a large Peroni and a small Birra Moretti and headed over to our table to meet everyone involved in the event before tucking into a wide array of starters bought to the table to sample. Such a varied selection allowed us all to have a good sample of plenty from the menu. Our particular favourites were the beautifully char grilled Chicken and Chorizo Skewers which oozed flavour, as well as the Calamari which was cooked to near perfection, lightly battered and served with a warming Cajun style sauce. We has some very nice starters at the Pitcher and Piano and would certainly love to go back and try the rest of the menu, With a relatively new Al Fresco seating area it seems a great alternative to the bars of the Waterfront on a warm summers day too. 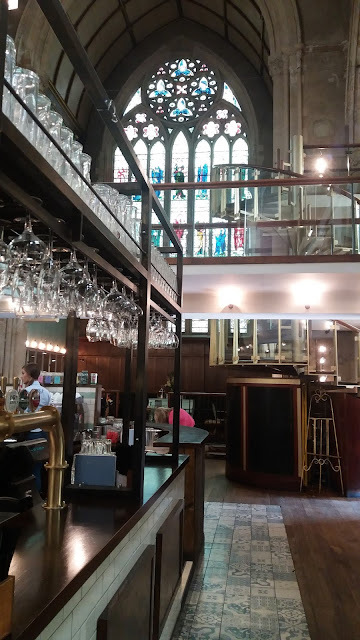 Labels: bar in a church, food, nottingham, old unitarian church, pitcher and piano, taste.